Feeling stress at work is normal. In fact, it’s so common in today’s workforce that the month of April is dedicated to bringing awareness to help manage it with National Stress Awareness Month. To help anyone feeling the pressure of workplace stress we also released a free LinkedIn Learning course from the executive director of the American Stress Institute. With so many people affected by stress at work, we also wanted to understand it more deeply -- who is impacted, what influences it the most and how it impacts job satisfaction -- and share how people can learn how to manage it. So we asked our members and found some surprising results. 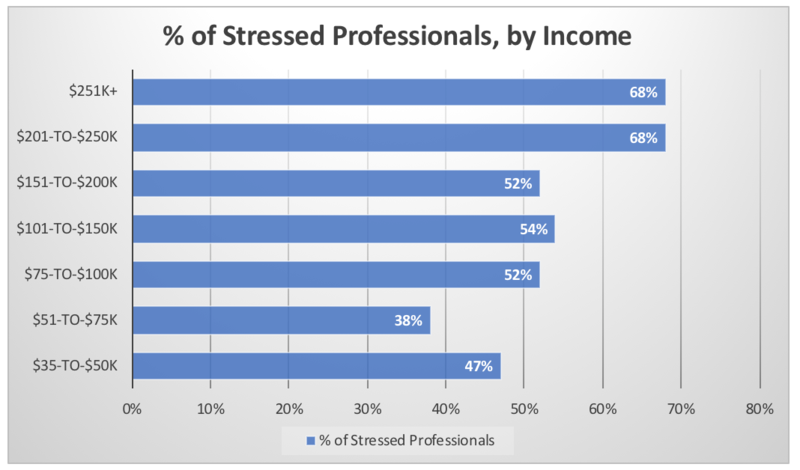 First, we took a look at stress at work as it relates to income. We found that as people’s income increased, so did their stress level. 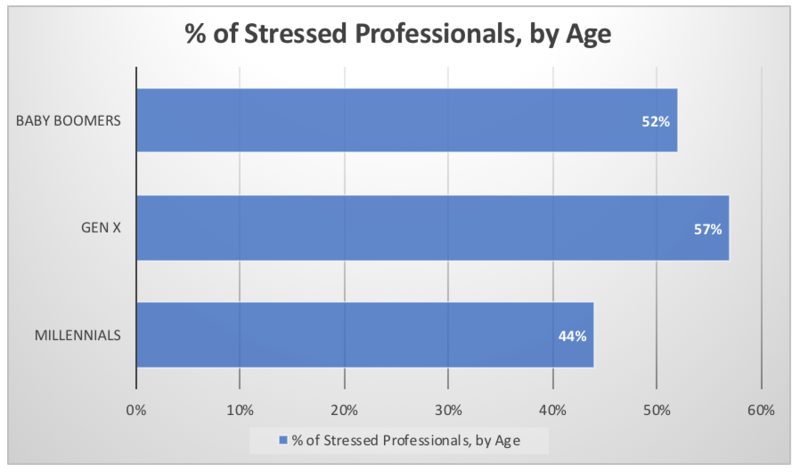 In fact, 52% of all professionals describe their job as stressful. 47% of people making $35,000-$50,000 a year said they were stressed at work, and that number only continued to rise among those who earn more. 68% of people making more than $200,000+ annually said they were stressed at work. This also doesn’t seem to differ by gender. Overall, both 52% of men and of women said they were stressed in their role. Sure, high-paying jobs might be stressful. But are they the most satisfying? Not according to the data. We found that people making $50,000-$75,000 a year were the most satisfied with their jobs, with 81% saying so, and 26% of people making more than 250,000 a year, said they were were unsatisfied with their jobs. Again, no meaningful difference in gender, as 76% of men and 75% of women said they were satisfied with their job. 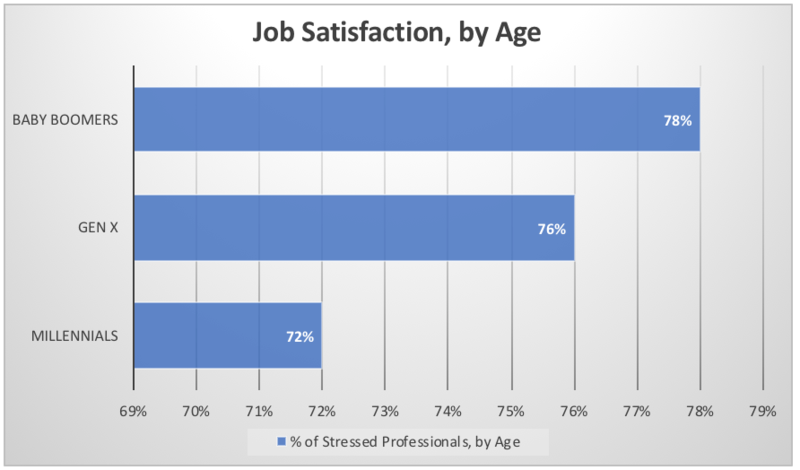 57% of Gen X-ers, people aged 37-52, said they were stressed in their jobs. Conversely, only 44% of millennials said they were stressed at work. And yet, there appears to be no correlation with job satisfaction. Despite feeling the least amount of stress, millennials are also the least satisfied with their jobs. Baby boomers are the most satisfied at work, with 78% of baby boomer, people aged 53-and-older, saying they were satisfied with their job. For those feeling the pressure at work, don’t worry! LinkedIn Learning is now offering a FREE online courses on how to manage workplace stress which is accessible now through April 30, 2018. While stress is something that can impact us daily, we want to make sure you have the tools and resources to learn how to overcome stress at work, and to achieve success. 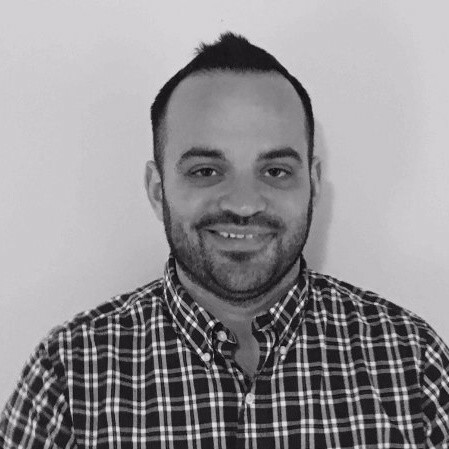 Sample includes nearly 1,000 LinkedIn members in the U.S., who indicated they are currently employed.